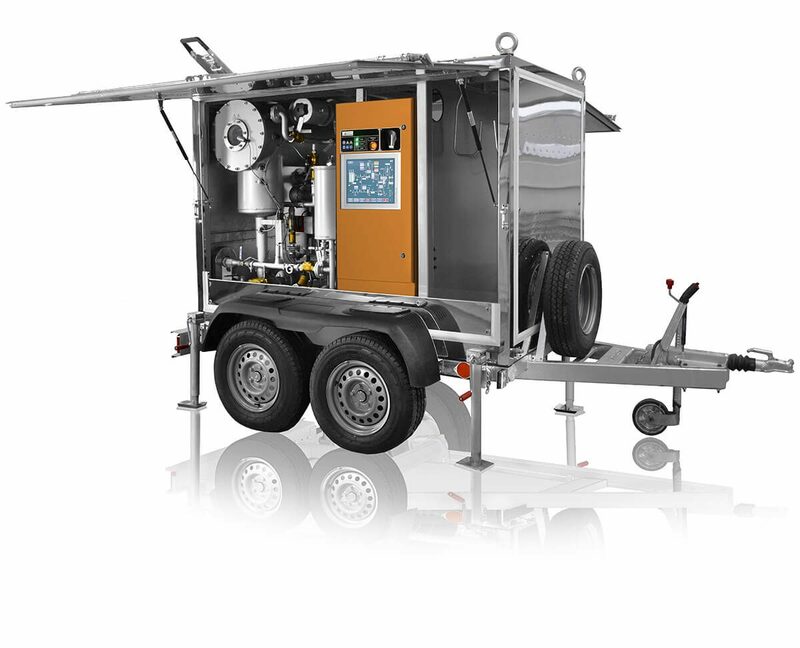 Cmm - 6/7 Mobile Degassing Unit - GlobeCore. Oil Purification Systems. Voltage/ Frequency is selected depending on the power source. Operation within +40 … +95 °F temperature range. Stock equipment comes with high quality finish, stable in high temperatures and humidity. NEMA 3R electrical equipment protection. Unit is finished with special paint to protect against corrosion in high humidity and salt. Improved dust and moisture protection motor enclosures. Operation within -4 … +95 °F temperature range. The unit is equipped with insulated enclosure. Includes control cabinet and unit heaters. The unit is heated to +40 °F prior to start. The temperature of the unit is maintained automatically.